When a group of orphaned children are forced to move from their home in London, caretakers Eve (Phoebe Fox) and Jean (Helen McCrory) bring everyone to the desolate and eerie British countryside. 40 years after Arthur Kipps (played by Daniel Radcliffe in the first film, The Woman in Black) left, this supernatural horror film introduces this new group to the now abandoned Eel Marsh House, an odd but seemingly safe location. It isn't long before Eve starts to sense that this house is not what it appears to be as the children in her care begin to disappear. As their house of safety becomes a house of horrors, Eve enlists the help of a handsome pilot (Jeremy Irvine) to help investigate what is happening. 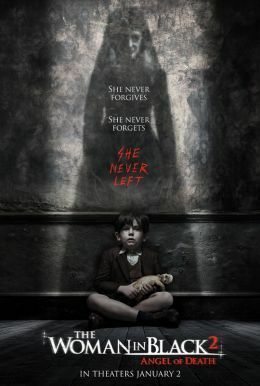 Eve soon discovers that it may not be a coincidence that she has come to reside in the house inhabited by the Woman in Black.